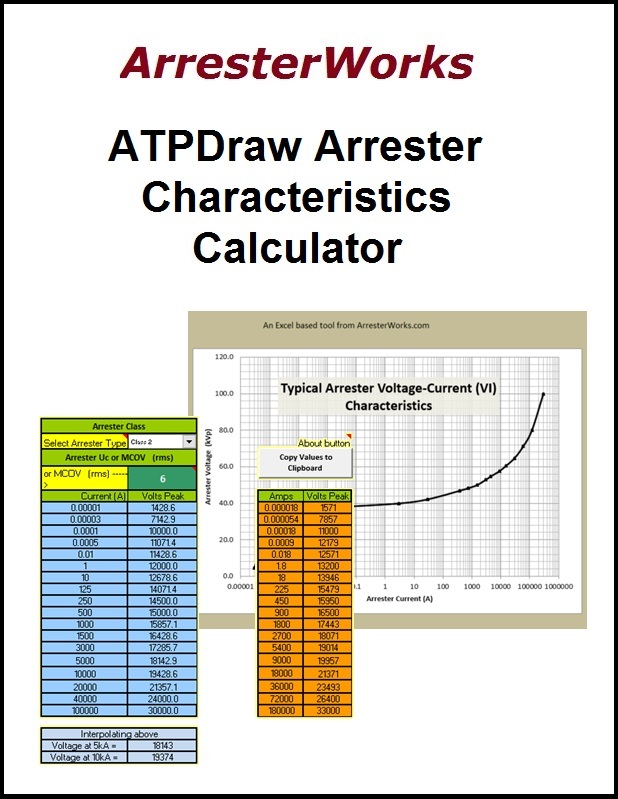 This excel based VI characteristic curve generator can be used by those running transient studies to generate the arrester characteristic curve for their transient software. The temperature rise of an arrester from a surge is a major variable in designing and applying arresters. 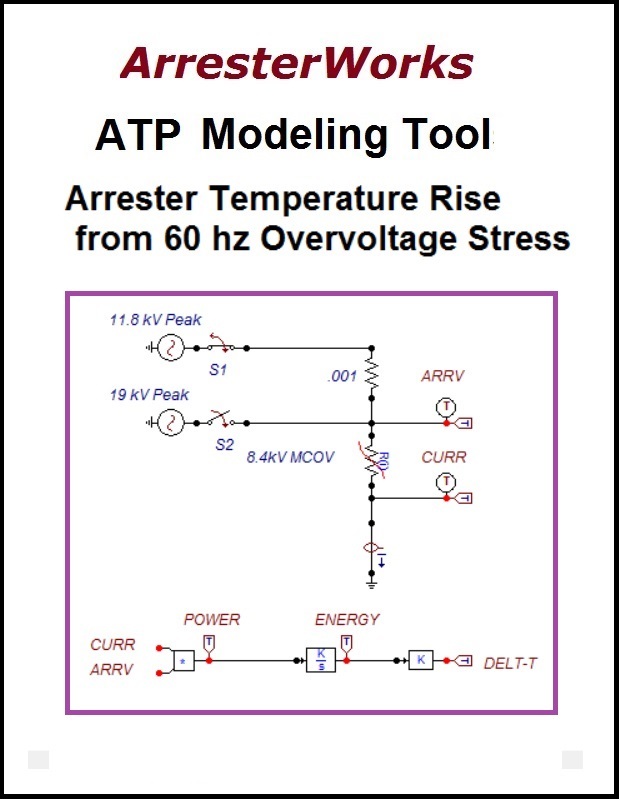 This paper shows ATP users how to model this parameter. 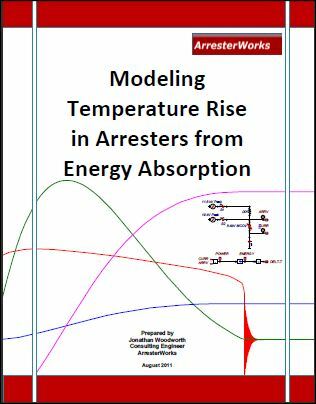 ArresterFacts 030.1 - Modeling Tools Temperature Rise can be found below in this section. ArresterFacts 030.2 - Modeling Tools Impulse Generator can be found found below in this section. found in the Tools & Guides section. in the Tools & Guides section. This is an excel based arrester temperature rise calculator based on size of disk and size of surge. The Marx Generator was invented in the 1930s. 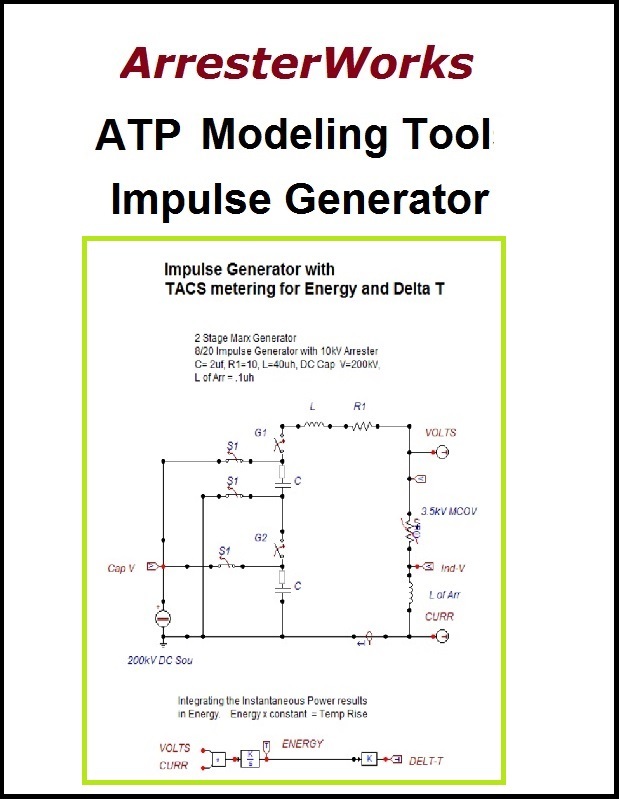 This model makes generator design easier for ATP users.